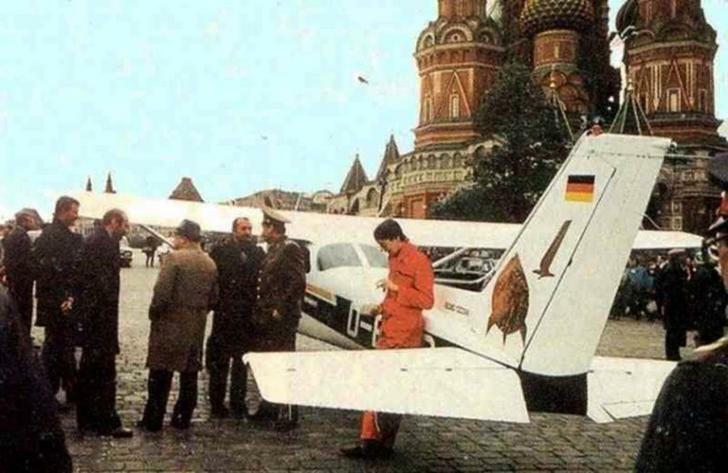 EXHIBIT A: Mathias Rust – West German pilot who illegally landed near Red Square in Moscow in May 1987, with a single engine Cessna 172. He penetrated the “impenetrable” air defense of the Soviet Union during the Cold War. 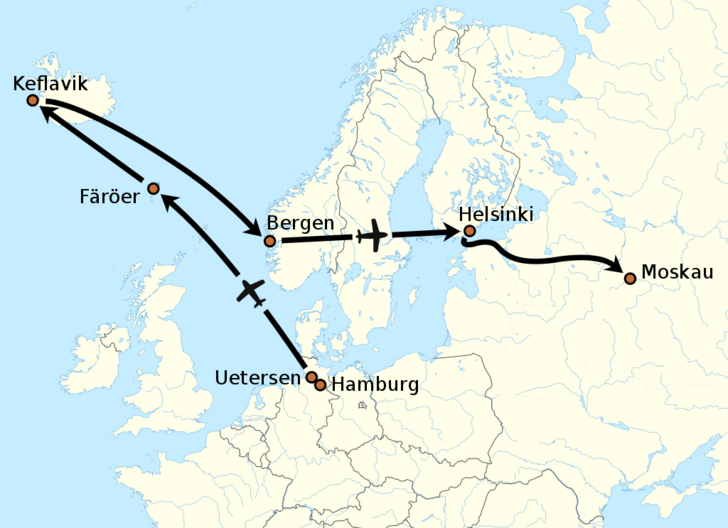 EXHIBIT B: The wavey last leg shown here as Helsinki to Moscow represents when this aviator went NORDO (no radio) to avoid having to talk to the Soviet ATC as they would try and intercept him and most likely shooting him down. Luckily for him, he wasn’t engaged. 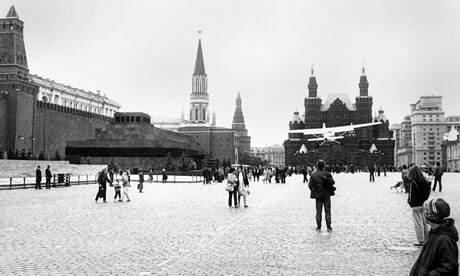 Soviet fighters requested the green light to engage in multiple locations several times but were never given permission by their Command. They just assumed it was a domestic plane who was violating local airspace and regulations. 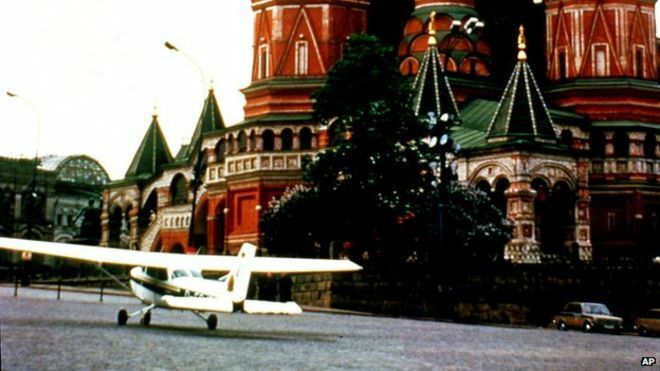 He originally planned a landing in the Kremlin itself but figured the KGB would arrest him and “disappear” him. 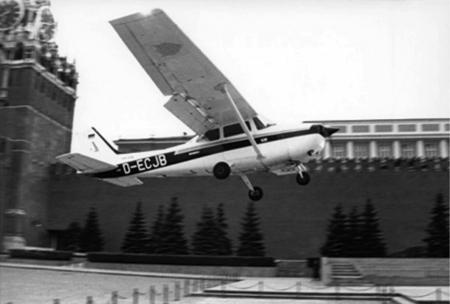 This 50-hour teen pilot had penetrated Soviet Airspace straight into its heart. 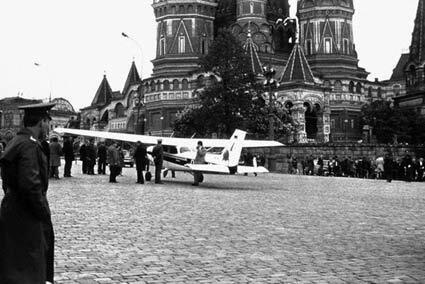 His landing leads to the removal of many high ranking officers and allowed Gorbachev the opportunity to change the system. 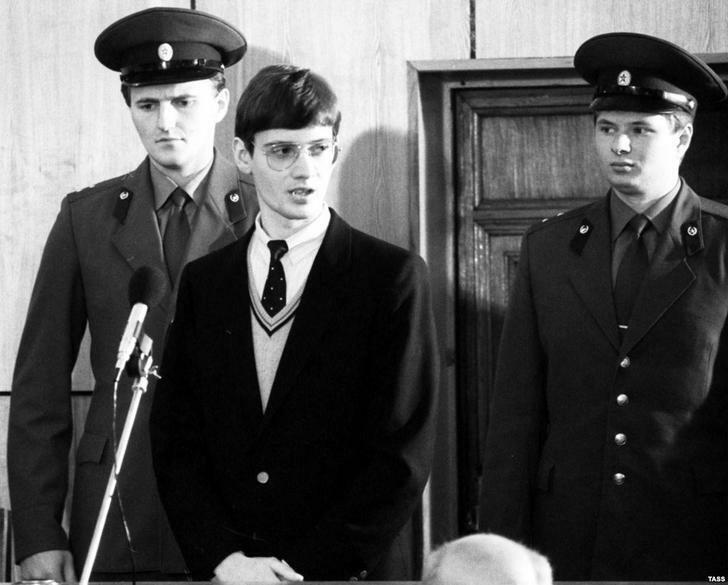 As for Mathias Rust? Imprisoned and sentenced to manual labor for breaching the Soviet Unions border, violation of aviation laws and hooliganism. 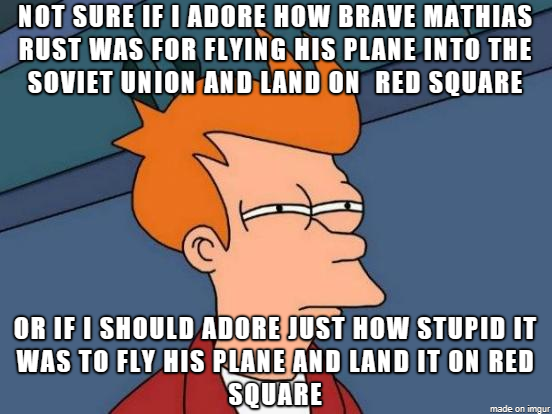 He never did any manual labor but the Soviets messed him up psychologically pretty bad. He was released about a year later. Next articleLong-distance aviation in the late 30s – This is how all air travel should be!